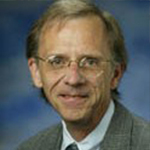 The recipient of the 2010 Witt Award was Arthur Snow, University of Georgia, for “On the Possibility of Profitable Self-Selection Contracts in Competitive Insurance Markets,” June 2009, Volume 76, Issue 2, pages 249-259. Several studies extend the Rothschild–Stiglitz model of competitive insurance contracting with adverse selection by incorporating additional dimensions of private information and conclude that some insurers may earn positive profit in a separating, self-selection equilibrium, provided each insurer is restricted to making a single contract offer. The main result of this article is that these profitable configurations are not sustainable when individual insurers can offer multiple contracts. It is also shown that the ability to offer multiple contracts overturns equilibria that have applicants from different risk classes pooled as well as those where profits are dissipated by a fixed entry cost.